On the 15th of each month, at 12 o’clock sharp Paris time, we post a photo on a theme chosen by Photo of the Month, a group of worldwide amateur bloggers and photographers. An opportunity to show some of our photographs and the memories behind. February’s theme is wild, chosen by Josiane. When I first read the theme I was thrown back to the bumpy and dusty roads of the Thakhek’s Loop in Laos for half a second, but then I thought of New Zealand. This picture shows what I’d like to keep forever in my memory about this island country situated at the end of the world: its blue-grey nuances, its beauty and its wild, raw and powerful nature. 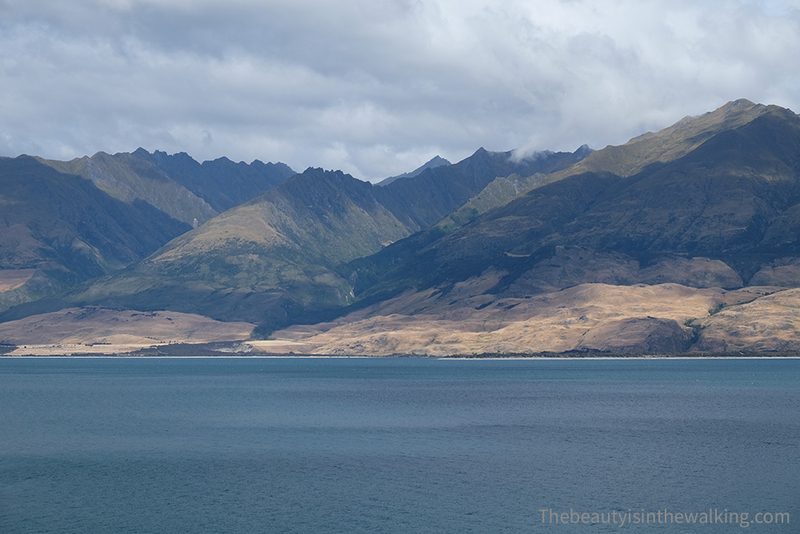 So, that’s Lake Hawea, a huge lake located in the southwest part of New Zealand’s South Island. It’s very close to another bigger one, which is called Lake Wanaka, where you can also find the eponymous city well known by travellers. The water was very quiet on that day, almost still. A cloud ceiling reduced the sunlight, the reliefs were clearly visible, and the water had a deep blue colour, almost indigo. The low light was beautiful and gave a surrealistic atmosphere to the landscape. I love it so much when the sky, the water and the earth tones altogether to create a very special moment. What does the theme “wild” inspire you?